All images courtesy of Six N. Five. LEE ESTE POST EN ESPAÑOL. 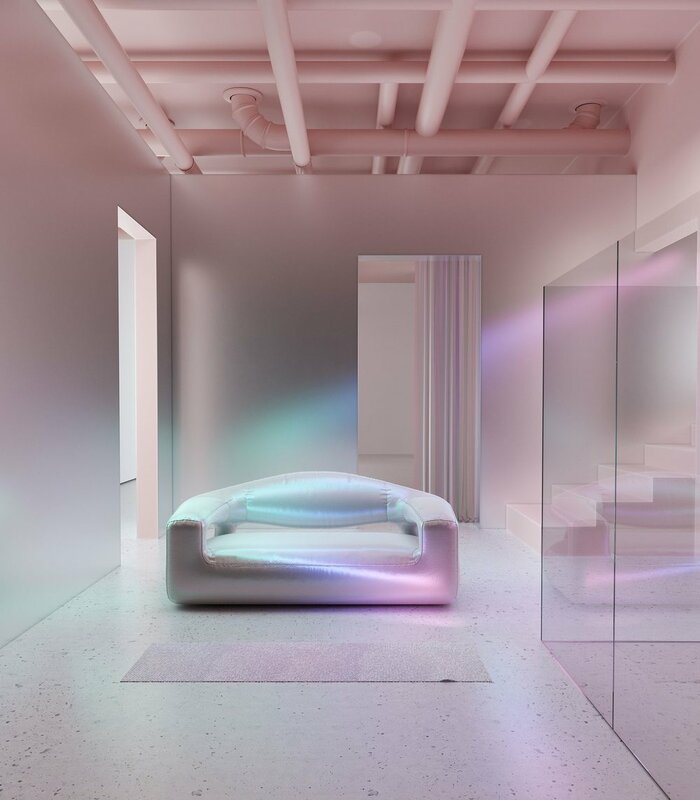 The slick new concept behind Barcelona studio Six N. Five’s latest collection combines mid-century Scandinavian design with the futuristic feel of holographic furniture. Repurposing the clean lines, organic curves and minimalism of the celebrated Scandinavian style, the collection dubbed ‘Holo-Scandinavian’ takes this design aesthetic into a surreal universe of the far future or memories of a distant past— we can’t be quite sure. 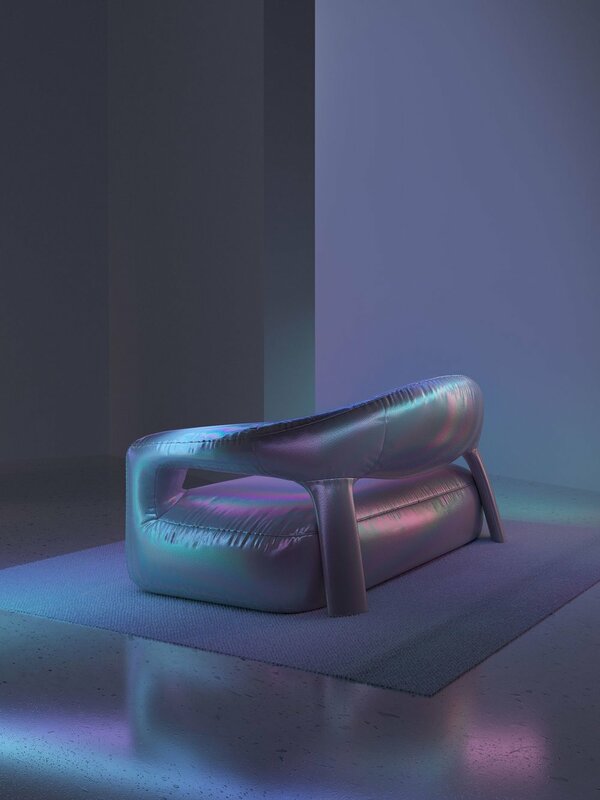 A collaboration between Joan Garcia Pons and Brazilian furniture designer Artur de Menezes, the Holo-Scandinavian range features chairs, tables, and couches made from holographic materials that create an iridescent sheen which is transformed under different lighting. Like much of the studio’s work, which specializes in CGI services and still life visuals and videos, the images are only conceptual. Six N. Five is known primarily for its art and set direction—as seen in its campaigns for Nike and Samsung. In this case, they designed the furniture itself—a new undertaking for the prolific design studio. Keeping in tandem with the themes of much of their work, Holo-Scandinavian provokes an emotional reaction in its viewer by alluding to a dreamlike, uninhabited place where solitude, contemplation and distortion of time prevail. While the collection is not available for purchase (as it has yet to exist in the real world), Six N. Five is currently looking for partners to develop it.